Under the Sanders-DeFazio plan, Congress can save a vital service and secure a future for USPS. Now it is time to act on that understanding that the austerity agenda being promoted by Congressional Budget Committee chairman Paul Ryan and his “Fix the Debt” allies poses a fundamental threat not just to Social Security, Medicare and Medicaid but to essential services that are necessary to economic renewal. And there is no better place to begin than with a rejection of the plan to dramatically downsize the US Postal Service by curtailing Saturday mail delivery. Too much of the media coverage of the postmaster general’s announcement that Saturday service will end in August accepted the fantasy that there is no alternative to postal austerity. Congress has the authority—outlined in the Constitution, no less—to preserve Saturday mail delivery and to create a stronger, better Post Office that will maintain vital services in rural communities and central cities across this country. There is no question that the Postal Service faces financial challenges that threaten its future. But Congress created most of the problems. And it can fix them. “While we all understand that the Postal Service is experiencing financial problems today and that changes need to be made as the Postal Service adjusts to a digital world, these issues can be dealt with in a way which strengthens the Postal Service rather than initiating a series of cuts that could eventually lead to a death spiral,” says Senator Bernie Sanders (I-VT). With Congressman Peter DeFazio (D-OR), Sanders has introduced legislation that will save Saturday service and renew overnight delivery standards while giving the Postal Service a new lease on life. They do this by coupling a modernization plan with the repeal of the congressional mandate that has caused most of the fiscal woes now facing the USPS. Rescinding the 2006 law that required the prefunding of benefits will return a measure of financial stability to the USPS. But removing barriers to the Postal Service’s ability to compete is the key to its future. Sanders and DeFazio would allow the Postal Service to seek new sources of revenue by: (1) lifting legal bans on services such as notarizing documents, issuing hunting and fishing licenses and allowing shipments of wine and beer; (2) clearing the way for the Postal Service to help customers take advantage of e-mail and Internet service; and (3) establishing a commission—composed of business specialists and representatives from small business and labor—to make recommendations regarding strategies for the Postal Service to utilize its infrastructure to compete. Among the prospects that have been proposed by postal workers and their allies are the restoration of postal banking, which would allow Americans to establish savings accounts at local post offices—as they do in the successful postal banks of other countries (such as Japan) and as was done in the United States until the 1960s. 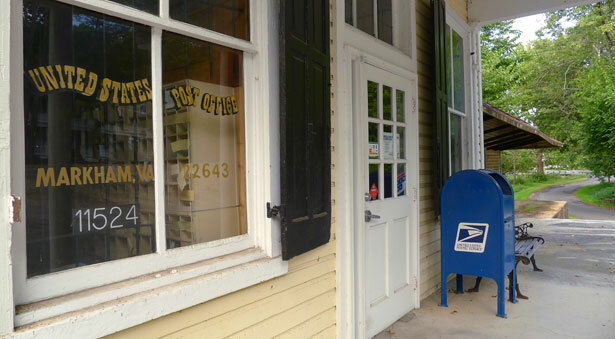 There are also proposals for making post offices hubs for helping Americans—especially those living in rural areas—access federal, state and local public services. Additionally, the Postal Service can and should be in the forefront of working with state and local election officials to expand postal voting and absentee-ballot programs. The point of the process is to build on the strengths of a postal infrastructure that is immensely valuable, and that has immense potential to sustain and enhance communities across the United States. The Sanders-DeFazio plan, which has already attracted substantial support in the Senate and House, rejects the austerity lie that would make keep making cuts until the Postal Service is so weakened that Americans will give up on it—and privatization will become inevitable. And it begins in the right place: with immediate action to block the deepest cut of eliminating weekend service. TAKE ACTION: Implore Congress to Reinstate Saturday Delivery.